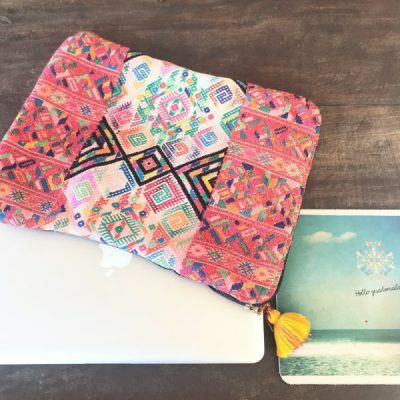 COLOR UP YOUR LIFE – Discover our boho, hippie and ethno bags! Colorful flower patterns or graphic ethno, ikat and aztec patterns – find your favorite bag now! Our boho, hippie and ethno bags, clutches, backpacks, weekenders and shoppers are the perfect companions for everyday life, the beach or festivals. A very special storage place for your essentials are our cosmetic bags, purses, iPad and laptop cases. All bags can be combined in many ways and are a real eye-catcher! It is not only the look that makes our bags special, but also the story behind these products. 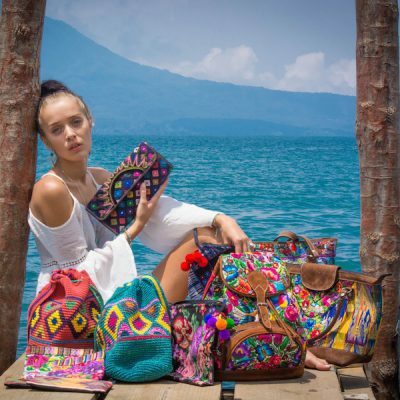 All MARYSAL bags are fairly produced by Maya Indians in Guatemala. The lovingly handcrafted production makes each MARYSAL bag unique. MARYSAL stands for sustainable and fair production. In addition to fair production conditions, it is important to us to reduce our ecological footprint. For the production of our bags we use upcycled traditional fabrics, such as Huipil or Corte fabrics. Huipil is the traditional blouse of the Maya women, Corte are the traditional skirts, which the Maya Indians still wear in everyday life. Through upcycling we bring new life into these traditional garments and you get a bag with character and soul. Enjoy Guatemala’s colourful patterns and designs & add a special boho flair to your look!